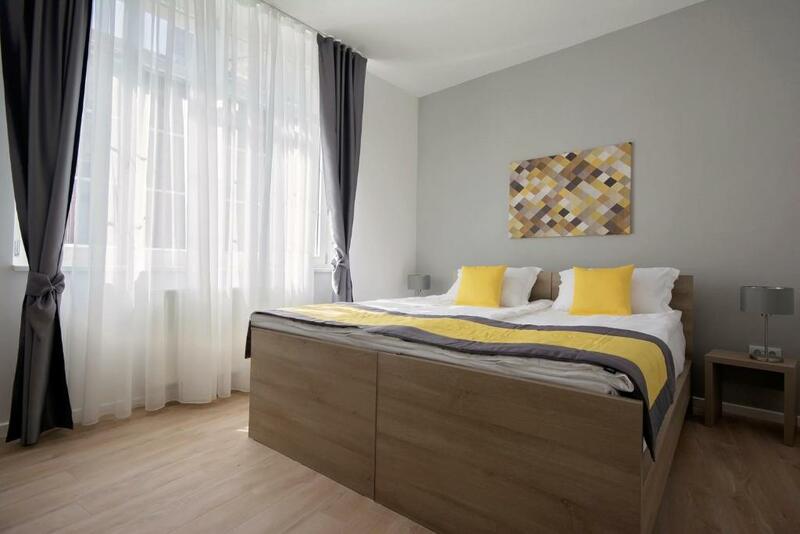 Room is spacious and contains all needed facilities for a small family with children. Staffs are friendly, location is good. Walkable distance to attractions. Room is clean and comfortable! Location is wonderful. Very clean apartments Helpful staff Secure place. Clean, big and modern. Nice staff. Easy and free parking. Amazing location, very quiet, newly decorated apartments and pleasant staff! We warmly recommend Enjoy Apartments! Nice place, great location, very clean and comfortable. It’s easy to find and the staff was very friendly. All sightseeing locations are very near. Nice design. Friendly and helpful host. Good location. Safe parking. Spacious room. 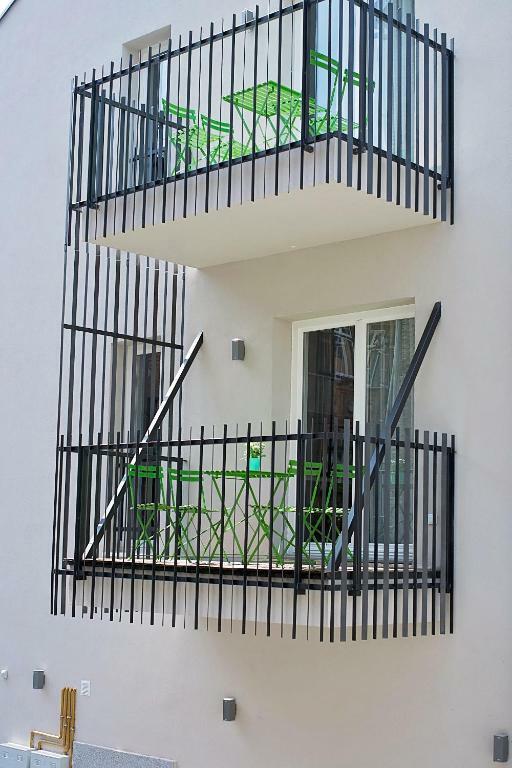 Lock in a great price for Enjoy Apartments – rated 9.4 by recent guests! Enjoy Apartments This rating is a reflection of how the property compares to the industry standard when it comes to price, facilities and services available. It's based on a self-evaluation by the property. Use this rating to help choose your stay! 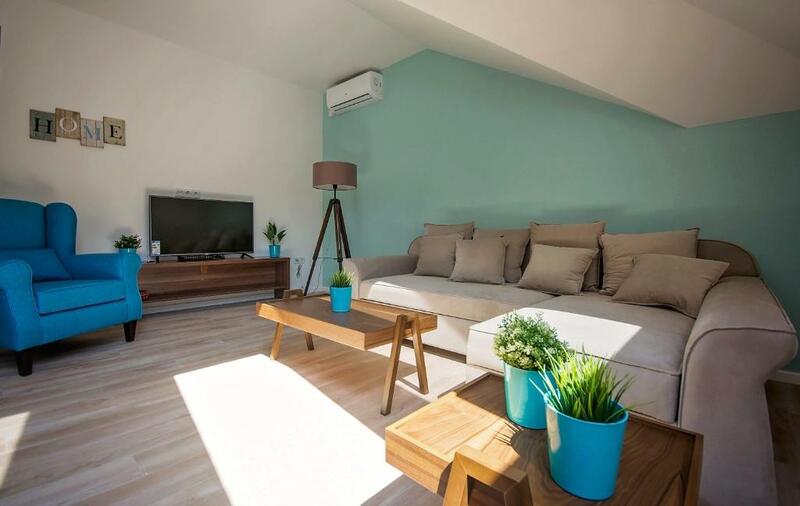 One of our top picks in Sarajevo.Featuring free WiFi throughout, Enjoy Apartments offers accommodations in Sarajevo, 0.7 mi from Baščaršija Street. The property has its own parking, which is under video and physical surveillance. All units include a flat-screen cable TV and a private bathroom with a shower and a hairdryer, as well as a water kettle. Some apartments also feature a kitchen, equipped with an oven and a fridge. Most units also come with a balcony with views of the city. 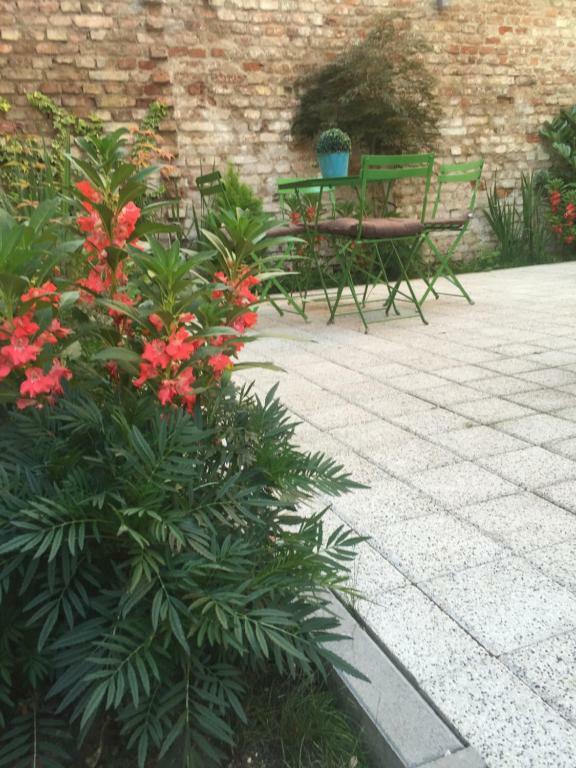 Guests staying at Enjoy Apartments can relax in the garden that is equipped with outdoor furniture. Various cafes and restaurants are a short walk from the property. 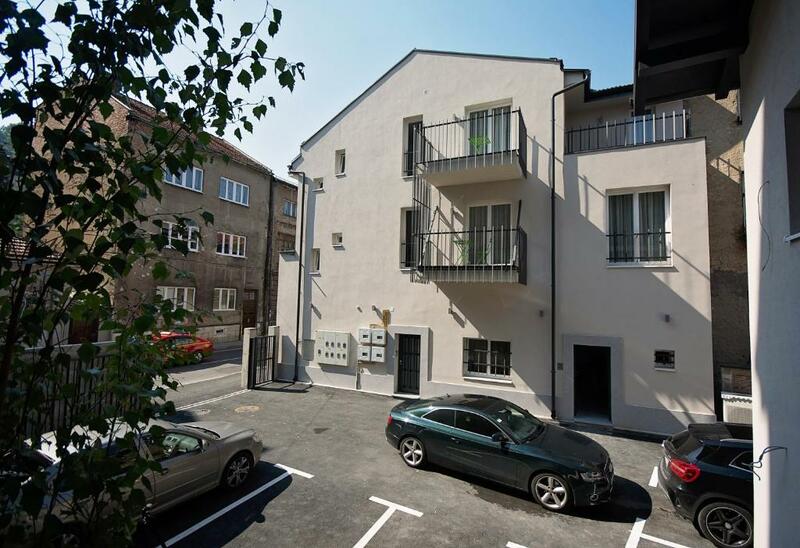 Sarajevo International Airport is 5 mi from Enjoy Apartments. Shuttle service can be arranged upon previous request and at a surcharge. 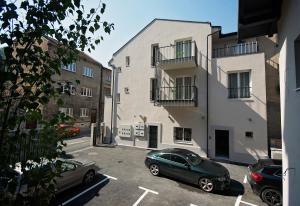 뀐 Located in the real heart of Sarajevo, this property has an excellent location score of 9.4! When would you like to stay at Enjoy Apartments? This air-conditioned apartment features a seating area with a sofa and a flat-screen cable TV, as well as an equipped kitchen. A private bathroom comes with a shower and a hairdryer. This apartment features a seating area with a sofa and a flat-screen cable TV, as well as an equipped kitchen. A private bathroom comes with a walk in shower and a hairdryer. This room features a flat-screen cable TV. A private bathroom comes with a shower and a hairdryer. This duplex suite features a seating area with a sofa and a flat-screen cable TV. A private bathroom comes with a walk in shower and a hairdryer. This air-conditioned apartment features a balcony, a seating area with a sofa and a flat-screen cable TV, as well as an equipped kitchen. A private bathroom comes with a shower and a hairdryer. Objekat i pripadajuce dvoriste su visokim zidom i ogradom odvojeni od okolnih objekata i glavne saobracajnice, tako da su intima i sigurnost posebno naglaseni. Dvoriste cine dva dijela, dio za parking i dio za odmor sa garniturama za sjedenje i prijatnim ambijentom sa zelenilom. Gostima je na usluzi osoblje koje je dostupno na recepciji unutar dvorista. 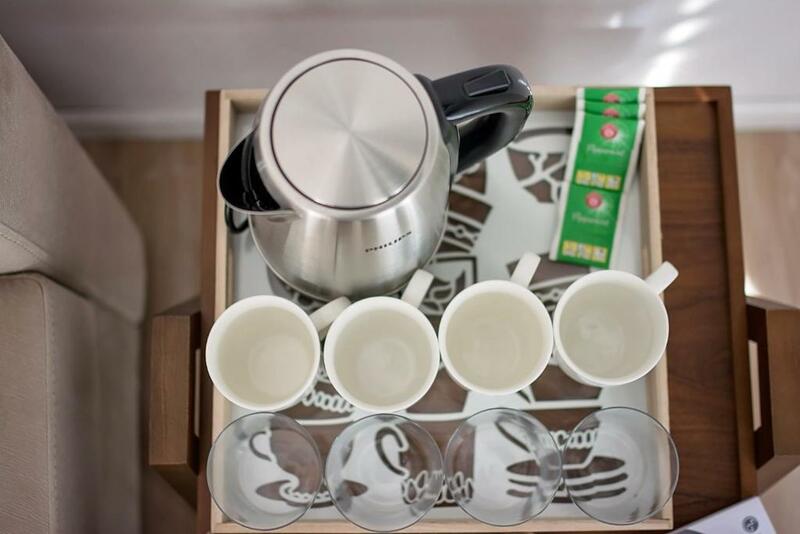 House Rules Enjoy Apartments takes special requests – add in the next step! Enjoy Apartments accepts these cards and reserves the right to temporarily hold an amount prior to arrival. Please inform Enjoy Apartments of your expected arrival time in advance. You can use the Special Requests box when booking, or contact the property directly using the contact details in your confirmation. No elevator available, might be difficult to carry four 20kg bags to the 2nd floor. Temperature in the shower seemed to fluctuate hot to tepid. V comfy bed, very spacious, powerful shower, felt very secure. This was my second visit. I enjoyed it. Secured parking which is a big plus in Sarajevo. A walking distance to centre. Clean and comfortable. Will come back. Perfect apartment, in a great area, quiet zone but close to the centre. 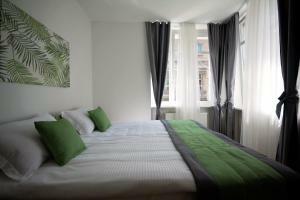 Very spacious and clean apartment, tv with loads of movies and channels, super comfortable bed. Great location, super spacious apartment with high ceilings. Comfortable beds and very friendly and helpfull staff. Free late check out was no problem. The staff were very welcoming and friendly and the apartment was really clean and is near to the city center. I’ll visit them again for sure. 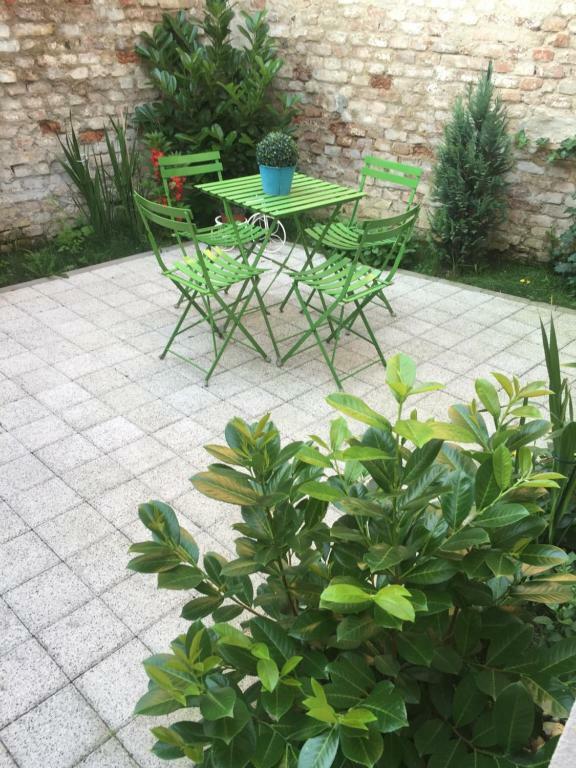 Very spacious room vith everythin you need for a couple days stay, very kind stuff, parking place for fair price and excellent position, just accros the city cetar and very close to old "Baš Čaršija" and, for those who are looking for shopping, close to few of most popular shopping malls. Excellent accommodation, well equipped. Good location. All recommendations.